‘Guernsey Cream’ is an early blooming stunner, with large, gardenia-like blooms that are slightly fragrant. An editor I work with does not like her writers to use phrases like clematisaholic or clematisphile and I’m on-board with that — it does seem to make light of very real and serious issues. That said, this week alone I purchased ‘Carnaby’ (sometimes reported as zone 5) and ‘Venosa Violacea’ and transplanted Clematis Virginiana (also known as devils’s darning needles; love it!) in my constant pursuit of filling the Garden Drama test garden and studio with vertical splendor. ‘Guernsey Cream’ is ready for her close-up. To me, clematis does it all in the garden: height, color, fragrance, visual glory, and season-long interest if foliage is your thing. Somewhat tropical, yet Victorian at the same time, they are at home in all garden styles, I think. Wilting foliage is the mark of clematis wilt. 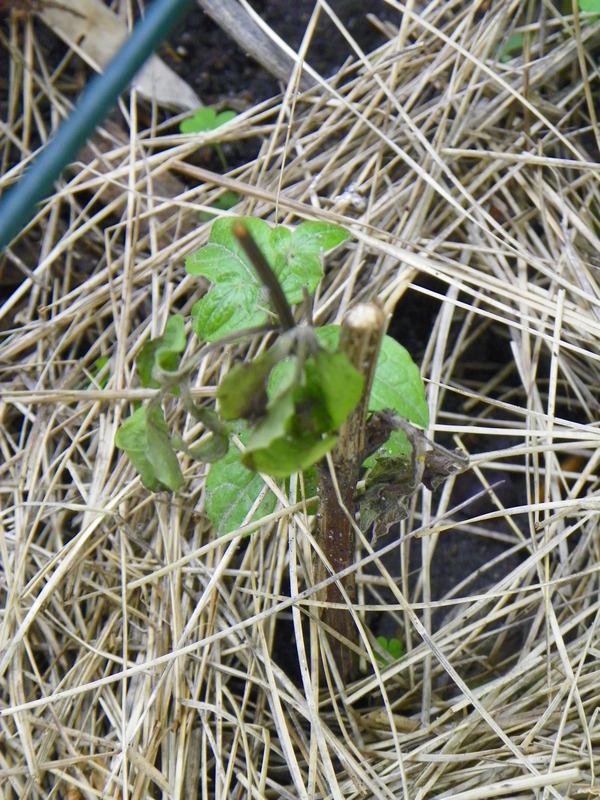 Pardon me, but why is my clematis performing a sudden death scene? 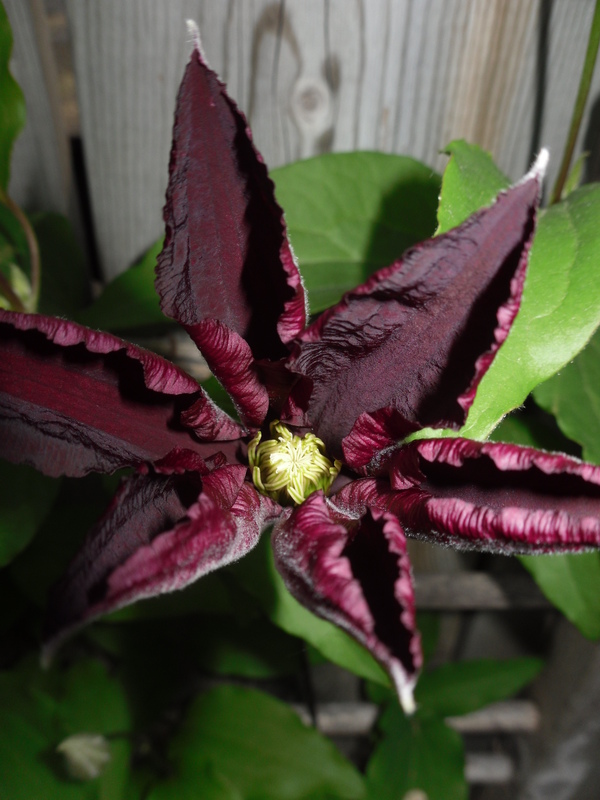 Now, the ugly side: clematis wilt. Of course, it’s the most fun to write about the beauty of flowers, but the maladies of the garden need to be addressed, as well. Clematis wilt showed up at my garden gate this year, striking down a ‘Niobe’ and also, the divine ‘Comtesse De Bouchaud.’ On the farm, my dad always said that a sick sheep is a dead sheep. This is not the case, I have found, with clematis wilt. 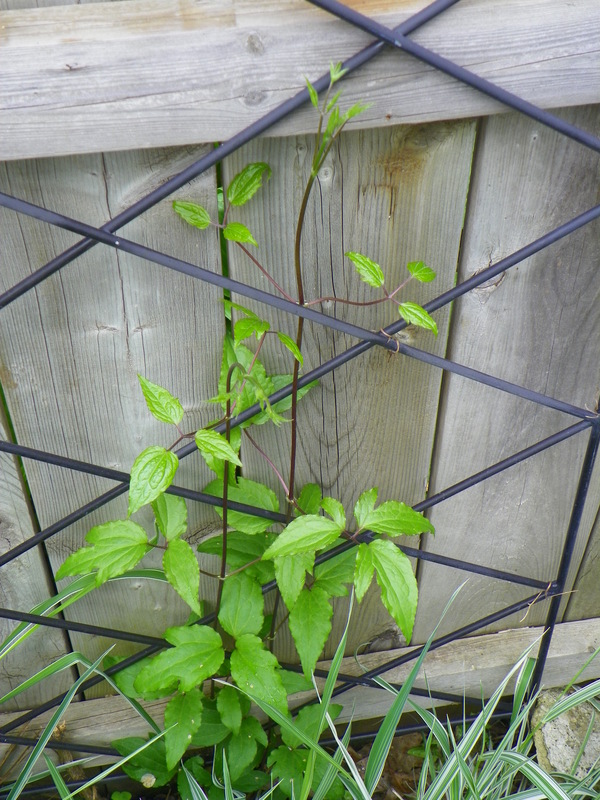 Once the wilted clematis growth is cut back, thriving new growth emerges. Take heart, though. I have had great luck with the following: cut the affected plant down to the soil and destroy the wilted foliage. In both cases in my garden, new growth sprouted within a week and has thrived. 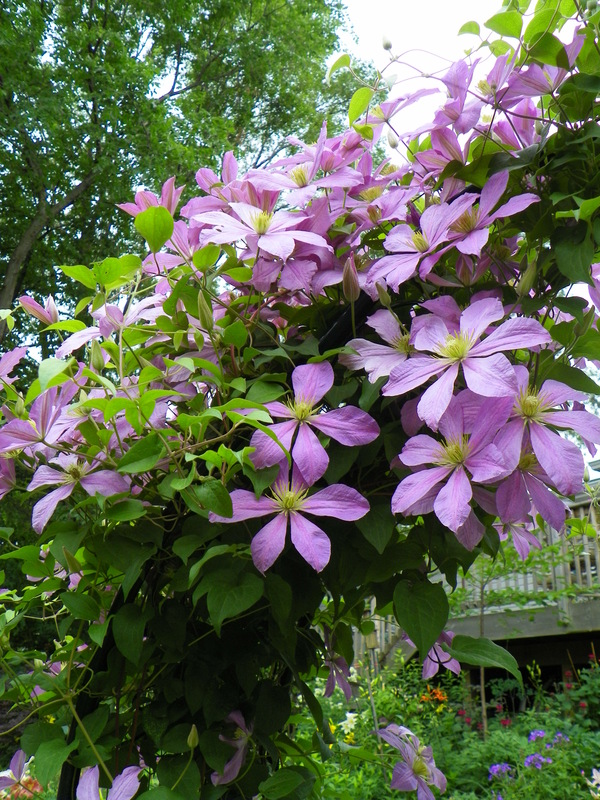 I have read that when the wilt appears in your yard, regardless of your clematis pruning type, it is recommended to take them all to the ground in the fall and send them to the trash. ‘Comtesse De Bouchaud’ is a beauty and must be saved when struck with the wilt. Though she loves sun, she will take some shade and still perform for you. 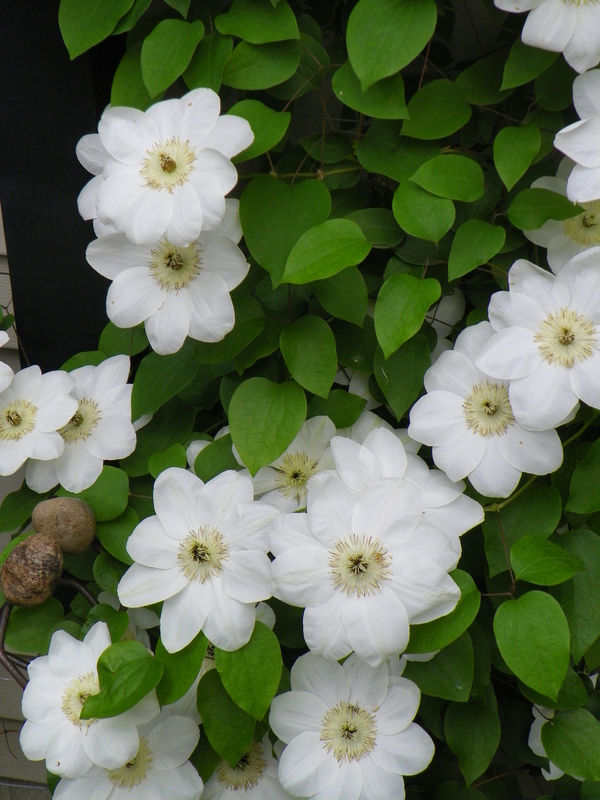 Also, when planting your clematis, go deep, planting at least two leaves beneath the soil line. Also, clematis like shaded roots, so plant shorter plants in front of them or mulch the base well, though I think shading the base with a shorter plant is the way to go. “Niobe’ is deep and rich and dramatic, but cut her back hard when she wilts. 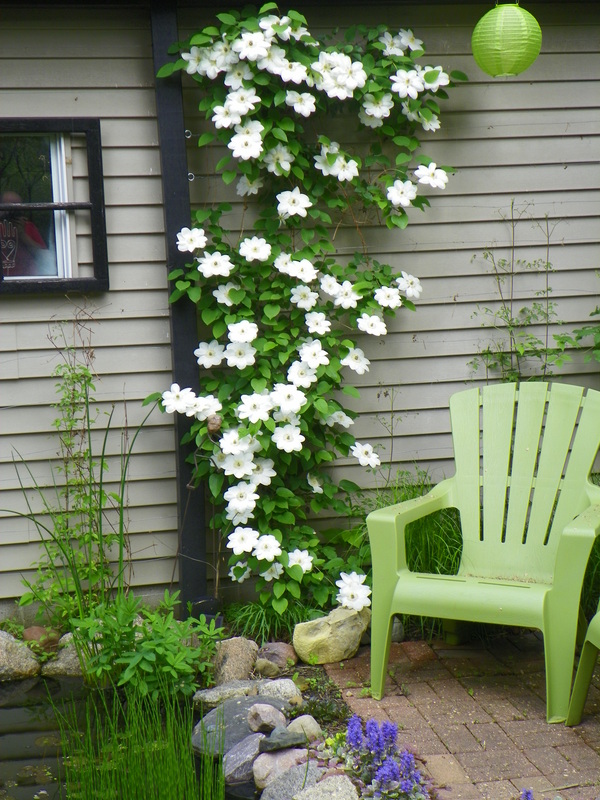 Love your clematis and fill your garden walls with them and I would like to hear of your favorite varieties. We can start our own online clematis support and worship group. Previous Post Hello Lilacs! The late spring isn’t looking so bad now, is it? Next Post I love you ‘Daniel Deronda’ clematis, but how in the hell do I prune you?